UPDATE 10/17/2015: Microsoft has made the Windows 10 free upgrade even easier to do. If you’re in the same position as I was, having to format your hard disc before installing, you really weren’t registered as “upgrading” because there was no prior operating system on your machine. Well, MS fixed that. Read Gordon Kelly’s Forbes article for a nice and clean description of all the rule changes that have been made, in your favor! It’s an amazing new day for Microsoft Windows and Office customers. Sure, I’m a Microsoft Alumni, and PowerPoint MVP, but I’m not a Microsoft shill or apologist. I’m pretty skeptical when it comes to “big changes” at Microsoft. I blame 17 years of working in the Microsoft Office org on the PowerPoint application for this. I won’t call out specifics, but far too often these big changes were the result of an individual manager or director who wanted to do something they’d be remembered for, not necessarily something that was good for the customer. And for a while that seemed to be the state of things. But today I’d like to point out some indicators that are making me believe in the subscription-based Office. First, you have to look at a pretty amazing last couple of years of development they’ve been focusing on getting Office on every platform that makes a difference. And they’ve expanded what they mean by platform. Windows and Mac for sure. iOS, as in iPhone and iPad are a natural. Who would have thought they’d do similar efforts for Android? 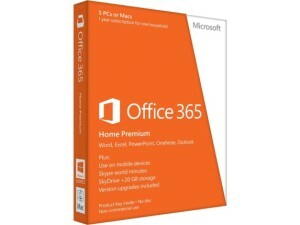 And while they got off to a rocky start (and I was part of that rocky start) the Office Web Apps coupled with OneDrive make it unlikely you’re ever in an online situation where you can’t access and edit your documents. 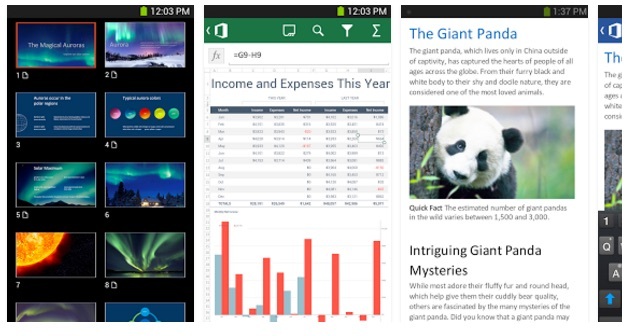 PowerPoint, Excel and Word are now on every major platform and device. Of course that was a huge amount of work. And the apps (yes, you may have heard otherwise at some point) are free to anyone who has an Office subscription. They’re even free to those without subscriptions, but without registration are basically just super-good viewers with reduced editing function. So points for effort, and they’re not entirely crazy. The teams completed this milestone a while ago, and while they still must maintain these new platforms, their program designers and developers are now free to go back to the core application functionality and innovate. All the Microsoft MVPs get occasional insights into what’s coming up, we’re not allowed to say anything until it actually gets announced by Microsoft, so today I’m so happy to share the press release below so you can learn about two of the new upcoming PowerPoint features that will be automatically distributed to Office subscribers. There’s even a “bleeding edge” program you can opt-into if you want to get new features even faster. Read the article linked below for details. So I say Microsoft has finally made the subscription worth your consideration. Specifically I’d point to the five-user Office 365 Home subscription . That includes five machines plus devices for a full year. That’s $20 apiece (Amazon price) or about 6¢ a day per user. I don’t know about you, but even brewing at home that’s cheaper than a cup of coffee. And to think that every now and then an update to the software will provide me with cool new features, even groundbreaking stuff like Designer and Morph, that pushes me right over the edge into saying I’m sold on subscriptions. At least I’m sold on the Office subscriptions. Oh yeah, there’s new stuff in Excel, Word and OneNote too, but I’m that PowerPoint guy, you know? I’ll write more on both of these shortly, but for now just check these out! This entry was posted in Business, Design, Graphics, Personal, PowerPoint, Presentations, Random thoughts, Software, Technology and tagged benefits, confession, features, Microsoft, office, PowerPoint, subscriptions, value. Bookmark the permalink. Eh… Google Docs does enough and is free. (I don’t doubt I expert-level user in any of the Office apps can eek more out of them than Joe Shmoe, but I suspect for 95% of the populace out there, GD is more than enough). (Office is a must for an enterprise environment though… GD just isn’t setup for that kind of thing). I know where you’re coming from Drew, and we’ve had this conversation before. It’s doubtful I’ll change your mind. But most professionals can’t live with “good enough” and while I’ve had some good utility using GD I don’t take it seriously when it comes to creating documents I’d be contributing to a business decision or similar customer facing communication. It’s a shame that so many people are satisfied with “good enough” when it comes to representing their ideas and arguments. In the meantime the price on Office has been coming way down, while the benefits keep rising, and the products continue to lead the way in functionality and collaboration. Given the cost/benefit equation, better than good enough is too cheap to ignore.